♥ Wait! What's that? Did you see it? It's the elusive majestic Unicorn! Okay not really, but we've found the next best thing...the Unicorn bow! 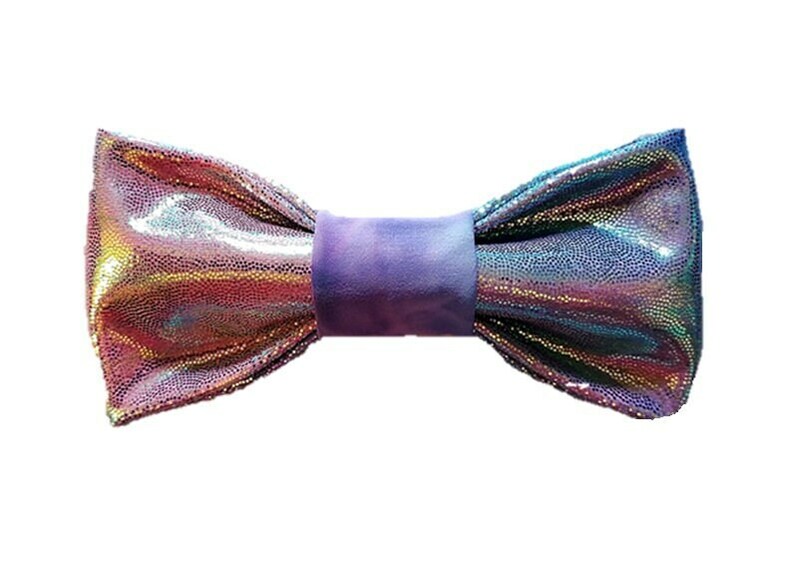 As if made with magic, this bow features iridescent shiny fabric that picks up all of the colors of the rainbow. This bow is sure to cast it's spell on all pups who wear it. Grab one for your little unicorn today!